A Liberal's Libretto: Stars of stage, architecture, beauty and fashion set to *sparkle* in LA Phil's "Don Giovanni"
Stars of stage, architecture, beauty and fashion set to *sparkle* in LA Phil's "Don Giovanni"
Hey there West Coast readers - this is for you. Starting tonight, the LA Philharmonic begins the first installment of a three‐year opera project presented at Walt Disney Concert Hall with a fully staged Don Giovanni. Over the next three years, the Los Angeles Philharmonic will present the other two operas by Wolfgang Amadeus Mozart which have words penned by librettist Lorenzo da Ponte - The Marriage of Figaro and Cosi fan tutte. This Don Giovanni is led by the dynamic Maestro Gustavo Dudamel with direction from Christopher Alden. Acclaimed architect Frank Gehry created the set installations and James Kaliardos for NARS Cosmetics created the makeup concept. Polish baritone Mariusz Kwiecien leads an international cast as Don Giovanni with Kevin Burdette as his Leporello. And those stars of stage, architecture and beauty aren't the only ones shining. 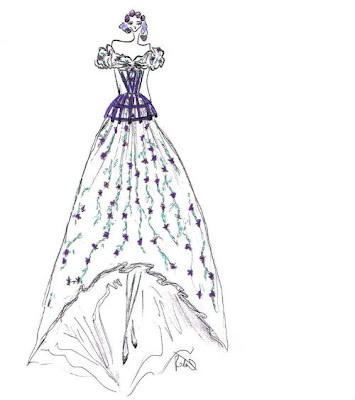 Swarovski will be adding sparkle to the breathtaking costumes created by Kate and Laura Mulleavy of Rodarte. Don Giovanni marks the operatic costume debut for Rodarte. Kate and Laura Mulleavy bring together the traditions of the opera with their unique point of view to create dramatic and engaging costumes. Over 130,000 Swarovski elements such as crystal pearls, sew-on-stones, beads and pendants were used in six showpiece costumes including headpieces, gowns and wigs. The characters of Donna Anna sung by Carmela Remigio, Donna Elvira sung by Aga Mikolaj, and Zerlina sung by Anna Prohaska, will shine and sparkle in the crystal embellished costumes throughout the performance. 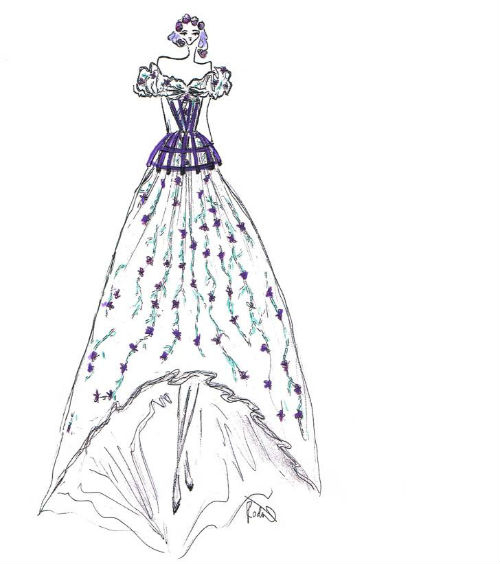 "Swarovski elements are an essential component in the Don Giovanni opera costumes... We used a wide variety of elements ranging from delicate crystal pearls to colorful pendants, in order to create depth and texture, as well as reflect light and shadow on the stage." "Swarovski is delighted to be a part of the Los Angeles Philharmonic's production of Mozart's Don Giovanni. Kate and Laura Mulleavy of Rodarte have approached the costumes with great artistry and craftsmanship, using Swarovski elements to realize their vision for these captivating characters. The costumes enhance the performance with their timeless beauty and elegance. Swarovski and Rodarte are frequent collaborators, having previously worked together on Fashion Week collections, an Atelier Swarovski by Rodarte collection and the "Swan Lake" ballet costumes for the motion picture Black Swan. Performances of Don Giovanni will run from May 18th through May 26th at the Walt Disney Concert Hall.